Club member Tom Wood took valuable points on the 2nd round of Pirelli Welsh Rally Championship at this year’s Rally North Wales. 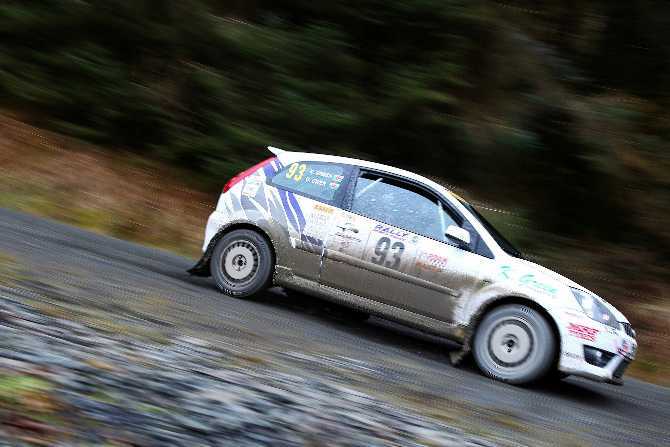 Wood who was co driving for Treorchy driver Kalvin Green piloted their M-Sport Fiesta ST to a 39th Overall and 1st in Group N over the Dyfi Forest based stages. “Being the first time we sat together it took a stage to settle in, but once we did it worked well” Wood explained. The crew completed the stages Dyfi West, Big Ray and Gartheiniog, then returned to Dolgellau for a 20 minute service to check over the car. The afternoon saw a repeat of the morning stages before returning to Gwyndaf Evans Motors for the ceremonial finish. Wood now lies: 16th Overall Co-driver, 4th Ravenol Welsh Challenge Co-Driver, 2nd Group N Co-Driver and 1st in N3 Co-Driver in the Pirelli Welsh Championship.